A delicately hand carved wooden table. This handcrafted piece will make a beautiful talking point in any lounge. 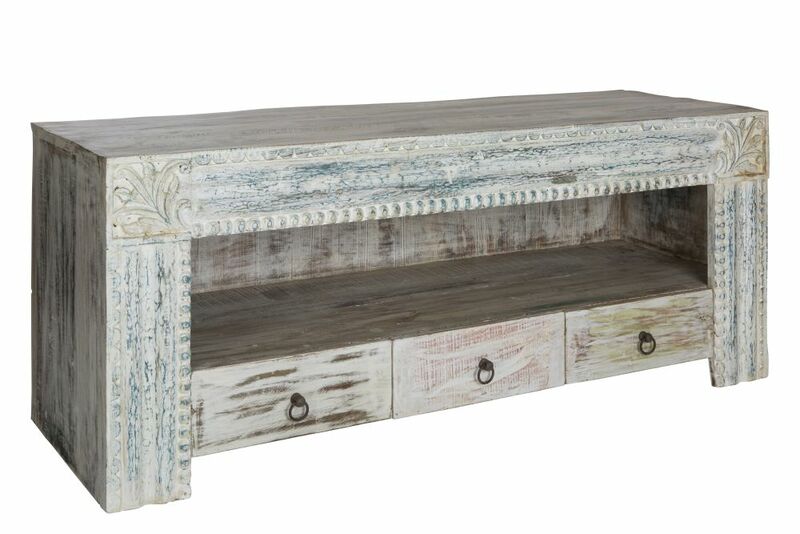 Delicate hand carvings and a splash of colour provide a beautiful finish and the three drawers make it a practical choice too. Can also be used as a TV/Media unit. Either way it will bring out class and style to any living area. Due to the handmade nature of our furniture, there will be variations in colour and finish, and the dimensions shown can alter slightly so should be used as a guide only.